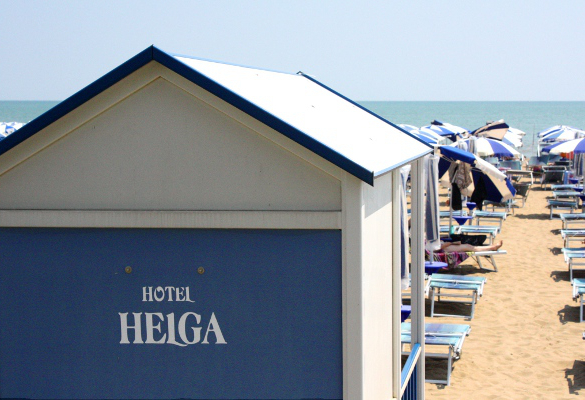 The 2 stars Helga Hotel was established and run by the Baso family since 1969. 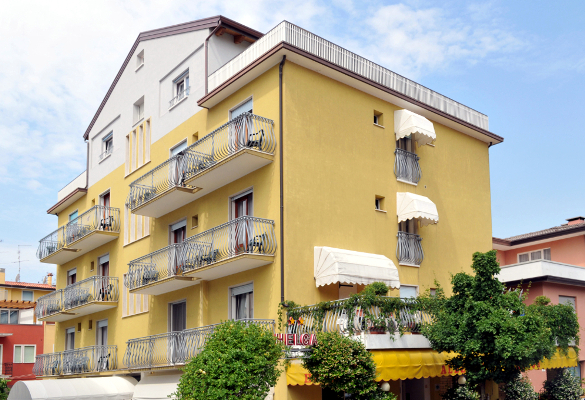 Located in a quiet location close to te west beach and to the picturesque old town of Caorle, the hotel offer modern, clean and comfrtable rooms and common areas set out to meet the needs of our guests. At all guests disposal, the hotel has a bar with outdoor terrace and indoor tables, TV and Wi-Fi, air-conditioned dining room, private parking. Bikes are available for those who wish to discover every corner of our city, served by a good nework of bicycle paths. Furthermore, within walking distance there is the chrateristic harbour from wich to depart on the boat that takes you to the heart of Venice, Piazza San Marco, or the boat that follows the charateristic places immersed in the nature of our lagoon and that inspired even Hemingway on one of his famous novels. Near the hotel there is the west beach. A golden sandy beach and clean and shallow deep waters, ideal for childrenprivate. The beach is equipped with private seats with beach umbrellas, sun beds and a bathing-hut, showers and toilet areas, health personnel and rescue, and also the cleaning service. All along the beach they are organized daily entertainment of various kinds, such as water aerobics and a mini club for the little ones. Our kitchen offers a typical Italian cuisine menu, enriched by local recipes and all the genuineness of home-made preparations, again managed by the owners. 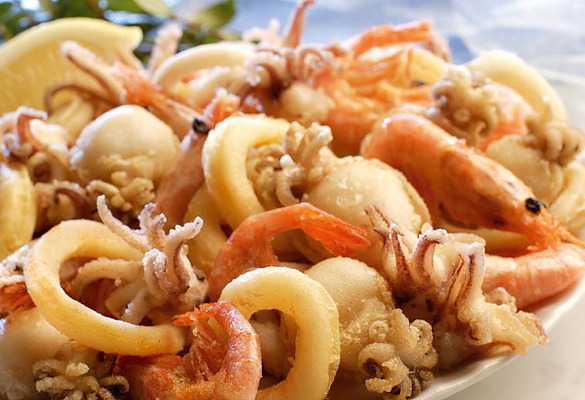 The choice is enriched by fish dishes, daily present on the menu and accompanied by excellent wines, typical of the area. Buffet sweet and savoury brekfast with croissants, cereals, yoghurt, biscuits and jams or ready-sliced cold cuts, cheese and freshly baked bread. 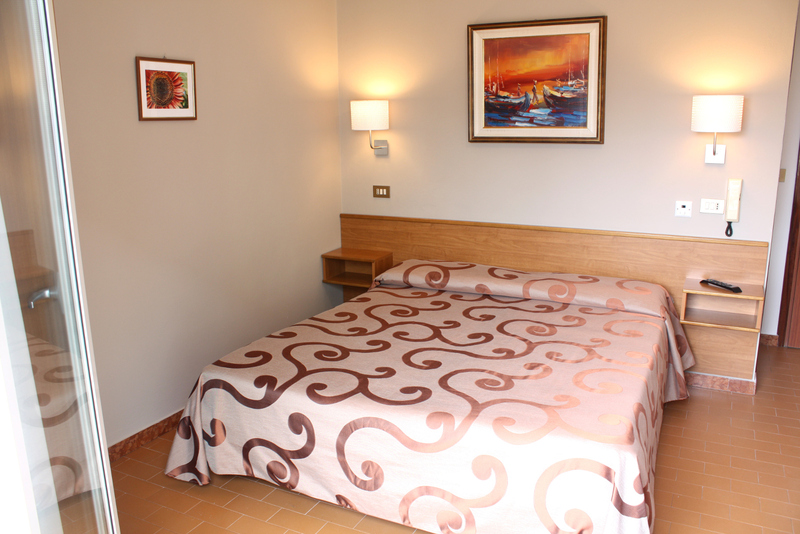 Our Standard rooms are spacious and comfortable, from 2 to maximum 4 beds by adding a bunk bed. For children we provide cots, in order to also offer them the best accommodation with the best comfort. All rooms have private bathroom with shower and hair dryer, safe, intercom, LCD TV, WiFi, airconditioning and a ceiling fan to be able to naturally cool. The Smart bedrooms are spacious and comfortable and adaptable from 2 to 4 beds. All beds are good quality, with bedsprings in wooden staves and fireproof mattresses and white cotton linens strictly provided by our industrial trusted laundry. All Smart rooms have just been renovated and are equipped with private bathroom with shower and hotel hair dryer, fridge, air conditioner, safe, intercom, LCD TV, USB socket and WiFi. Two-room apartments obtained from the recent restructuring of the fourth top floor with living room with kitchenette, a double bedroom with possibility of adding a bunk bed (2 + 2), bathroom and large terrace. 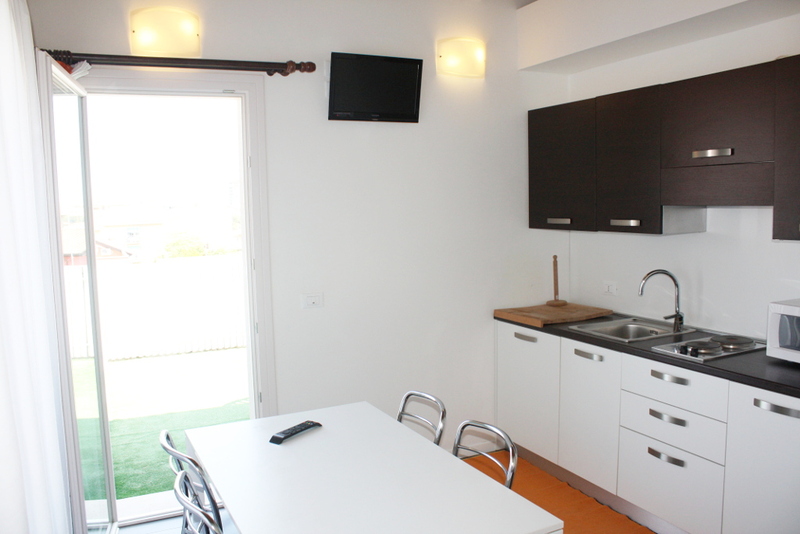 Kitchen equipped with stove with electric hotplates, refrigerator with freezer, microwave and dishwasher. Also air conditioning, safe and 2 LCD-TV, washing machine, iron and ironing board and hair dryer. The terrace of over 40 square meters is equipped with table and chairs and loungers where they can sunbathe or just for an afternoon nap. 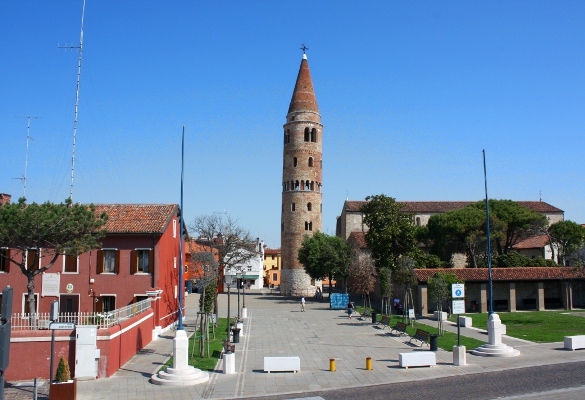 The location offers an overview of the historical center rooftops of Caorle, a few steps from our hotel.